Witherspoon's influence over the evolution of the American New Light Calvinist decision for Christ can not be understated. If the philosophy of Friedrich Nietzsche could be said to be the basis for Nazi ideas of the "power of the will", the theology of Witherspoon was the philosophical influence that resulted in the New Light Calvinist "metaphysical moral influence" decision for Christ. This was the rational for the Inquiry Room changing from BEST system to BIST system after the Civil War, which incidentally, was NOT IN ANY WAY CONNECTED TO CHARLES FINNEY. Charles Finney continued to use the BEST system till the day he died in 1875. Finney was indirectly influenced by Witherspoon though. Witherspoon taught William Graham (1746-1799), and Graham taught Archibald Alexander (1772-1851) Scottish common Sense Realism, and Alexander taught George Washington Gale (1789-1861), and George Washington Gale taught Charles Finney (1792-1875) to prepare him for the ministry. Finney rejected the idea that regeneration was not immediately discernable and questioned the lack of supernatural activity (apart from the energizing of Scripture) of the Holy Spirit inherent in Scottish Common Sense Realism. This rejection caused him to form his own theology more in line with that of Samuel Hopkins that stressed the immediate experience of regeneration. Unfortunately, almost all modem Calvinists do not know that Finney based his expectation on immediate experience of regeneration on a pre determinist premise with consecutional saving faith. If you are serious about understanding how Christian salvation change so quickly, that it, before the Civil War supernatural regeneration and the indwelling of the Holy Spirit to after the Civil War, saving faith as evidenced by believing Scripture, please read the complete text of Witherspoon's Practical Treatise On Regeneration with commentary. We also have the complete Blackmith Letter, which shows how much he hated "enthusiasm" and the "strange appearances" of the Presbyterian Sacramental Meetings that gripped his native Scotland in the First Great Awakening and were soon to grip the American frontier in the Second Great Awakening. 2) The “Evangelical Calvinists”, who did not deviate from the Confession, were known as “New Light” Calvinists because they asked sinners to immediately repent and submit to God. 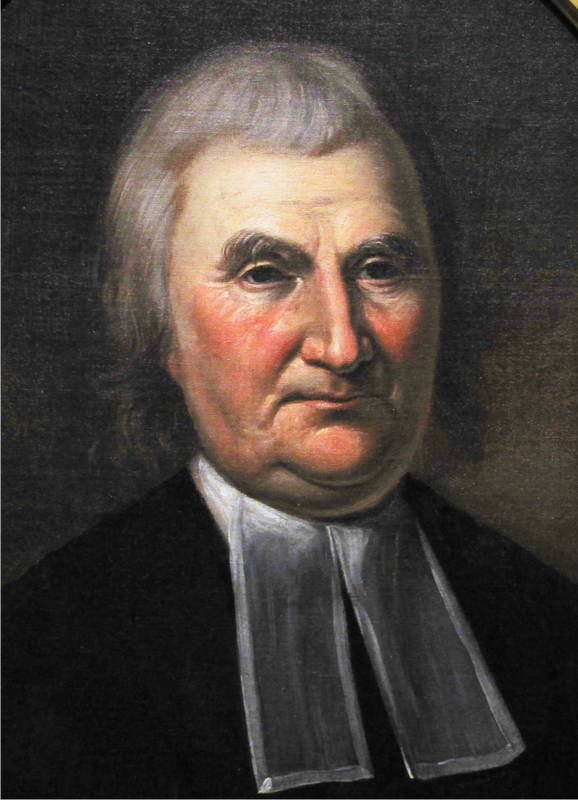 Witherspoon considered himself to be in this group, publicly identifying himself as sympathetic with the controversial James Hervey, who was a “Holy Club” alumnus with George Whitefield. Witherspoon taught, “The moral sense is precisely the same thing with what, in scripture and common language, we call conscience. It is the law which our Maker has written upon our hearts, and [so] both intimates and enforces duty, previous to all reasoning.” Witherspoon’s goal was to bridge the gap between the rationalism of John Locke and the supernaturalism of Jonathan Edwards. John Locke did not believe in supernatural regeneration and the indwelling of the Holy Spirit. He taught that saving faith was merely "bare faith" in the facts of the gospel. Jonathan Edwards recognized scripture as a means of grace, but that regeneration was a supernatural, immediate activity of the Holy Spirit not necessarily connected to the moral persuasion of scripture. Witherspoon’s point was that reason and revelation are compatible—that the moral philosophy derived through reason is consistent with that derived from revelation. … this subject is indeed unfashionable and neglected, We are miserably deceiving ourselves. If a new nature is necessary, to attempt to repair and new model the old will be found to be lost labor… it is by no means sufficient, or, to speak more properly, it is altogether impossible to reform the irregularities and vicious lives of sinners, and bring them to a real conformity to the law of God, till their hearts are renewed and changed… those who are no way sensible of any change in the course of their affections, and the objects at which they are pointed, can scarcely think that they are born again, or be able to affix a proper meaning to so strong an expression… whoever cannot remember the time when he served the former lusts in his ignorance, has reason to conclude that no change deserving the name of regeneration has ever yet taken place…Remember, that though your conduct may be wiser and more prudent, and your character more respectable in the world than before, this is no proof of regeneration and "except a man be born again, he cannot fee the kingdom of God." Think not to do injury to the grace of God, by weaving a self-righteous cobweb, and refusing to believe till you have laid down some rules of a new life, and effected some partial reformation, as if you would first save yourselves, that you may be fit for salvation by Christ. These hopes will soon be dashed in pieces. Faith in the imputed righteousness of Christ is the sinner’s only plea.